We recommend giving your gold or silver jewellery a quick clean at the end of the day, using a soft cleaning cloth to remove any fingerprints or oils that may have accumulated from normal wear. Once a week, we recommend a deeper clean. All you need is water and liquid soap. Sterling silver jewellery deserves extra special care, so for these precious items we recommend a silver polish. You can purchase a quality silver cream at most jewellery stores, drug stores and even supermarkets. 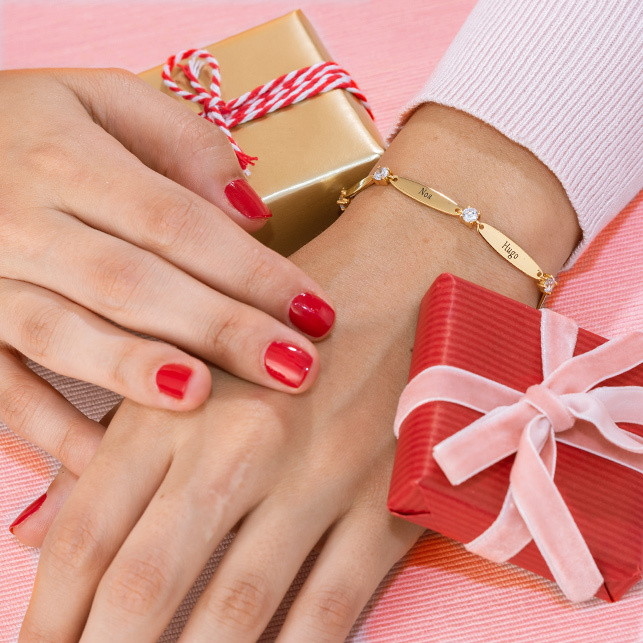 Lotions, hairspray, and some cosmetics contain chemicals that can be harmful to your jewellery. It is always best to apply your makeup first and then put on your jewellery in order to minimize exposure that can be damaging. Make sure to remove your jewellery before all intense physical activity. This will protect it from reacting to the chemicals in your sweat or from any damage that may occur in contact sports. Rub a dub dub, no jewellery in the tub! Harmful chemicals they contain could also do a number on your personalised jewellery. Too much sudsing in the shower while wearing your personalised necklace, bracelet, or rings can cause a film to form over the precious metal, dulling the sheen and diminishing its gorgeous shine. Pools and jacuzzis are full of chlorine that, if exposed for too long, can cause your jewellery to discolor . So play it safe: When you're stripping down into your bathing suit, take off your jewellery too. Harmful chemicals and jewellery don’t mix. The chemicals in cleaning products can be harmful to the quality and longevity of your precious jewellery pieces. Properly storing your jewellery will do wonders for keeping it looking new. Keep your customized jewellery in a box where it won't get tangled up with other items or damaged from too much movement. A jewellery box with a soft felt lining is perfect, but you can even line a simple shoebox with fabric to keep your items nestled and safe. Anti-tarnish strips are also a great investment to keep out oxidants than can tarnish and dull your pieces. We provide a convenient range of secure local and international delivery options. To upgrade your shipping method, please contact our Customer Service Team. Please note that time frames are stated in business days and do not include weekends. For more information about local and international shipping as well as relevant delivery times during peak seasons, please click here. While we have a wide range of jewellery styles, you may want to add a personal touch that you can't find in our collection. For special design requests, please contact our Customer Service Team. Our jewellery design experts will review your request and let you know if we can make your personalised creation. Please note that during busy seasons we cannot accommodate special requests. Where Will The Engravings Be Placed On The 3D Bar Necklace? The placing of the engraving depends on how many inscriptions you would like on your necklace. The right and left placing is the position when the 3D Bar Necklace. is not on you. Yes! All you need to do is leave a clear comment in your shopping cart during checkout. The comment should say" Inscription on front: Alexa, Inscription on back: Harry"
The right and left placing is the position when the 3D Bar Necklace is not on you. Placing an order on our website is very intuitive. Browse our product catalog to find jewellery styles that you’d like to personalise. Look for useful information on the product page for each item, such as price, character limit and dimensions, as well as a right-hand menu that guides you in finalizing your personalization. 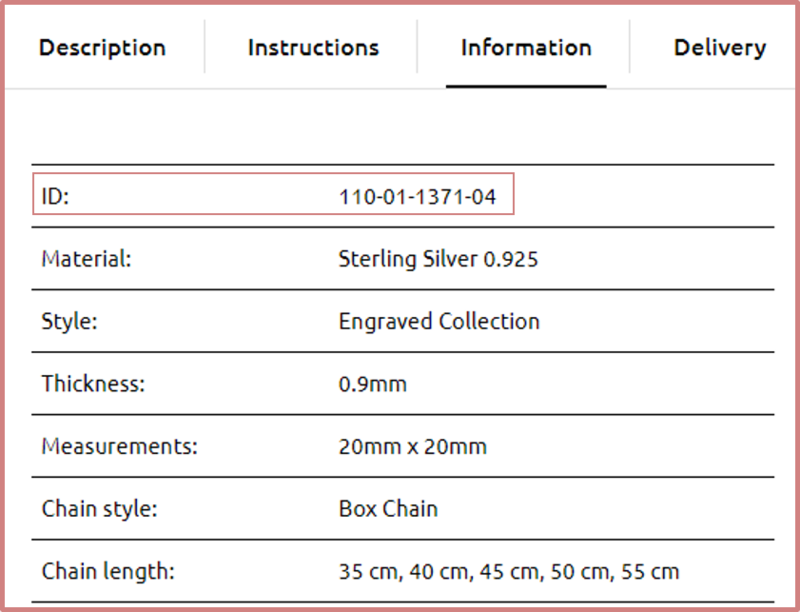 Fill out separate boxes for each feature you personalise, including material, inscription (please note character limits), birthstone and chain length. Click ADD TO CART when you’re ready to confirm your order details and proceed to checkout. Enter your Promo Code (if you have one) to redeem the discount. Click on CONTINUE CHECKOUT to proceed with entering your contact details, and then payment and shipping information. Once completed you’ll be redirected to a confirmation page that your order is being sent to production. You’ll also receive confirmation by email with full order details and shipping information. We accept all major credit cards as well as payments made through PayPal. All payment must be made in full before shipment. To make a payment just click on either the "Continue to Checkout" or "PayPal Checkout" buttons in your shopping cart. After entering your contact details you’ll be redirected to the relevant payment platform. Unfortunately we do not accept Direct Debit Cards or Prepaid Credit Cards. Production of your personalized item will begin immediately after you have processed your order. Due to the fact that each item is uniquely made for our customers and to the fact that we start production straight away, please let us know up to 2 hours after placing your order that you want to cancel it. After this time frame, a 30% restocking fee may be charged. Your account you used to purchase your items will be refunded. It may take up to 7 business days from the day your refund was approved. We all change our minds, if you decide you would like to change your order before it has shipped, please contact us and we will gladly assist you. To cancel your order, please contact our customer service team here. To receive a refund for an item you have already received, you will need to return the item and any free gifts you received with it before your refund is processed. If you are unsatisfied with your product, we will be happy to exchange it for something else within 100 days of purchase. Your original item will need to be returned before we are able to send your new item to production. Please let us know before doing so and send a clear picture of the item. If the new item you have chosen has a different monetary value to your original item you will be sent either a money order or refund, whichever is appropriate. If you are not satisfied with this option, our customer support will work with you to find an alternative solution. If your item has arrived damaged or incomplete, please contact us immediately. You will need to send a clear image of the damaged item to a customer service representative. Once a customer service representative has received a clear picture and approved the claim, you will be offered a reorder, free of charge if the item is within warranty. How Can I Preview My Name Necklace? 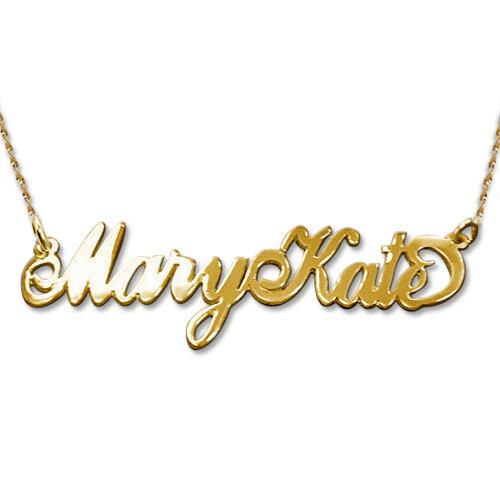 Wondering what your name necklace will look like and can't wait for your order to arrive? 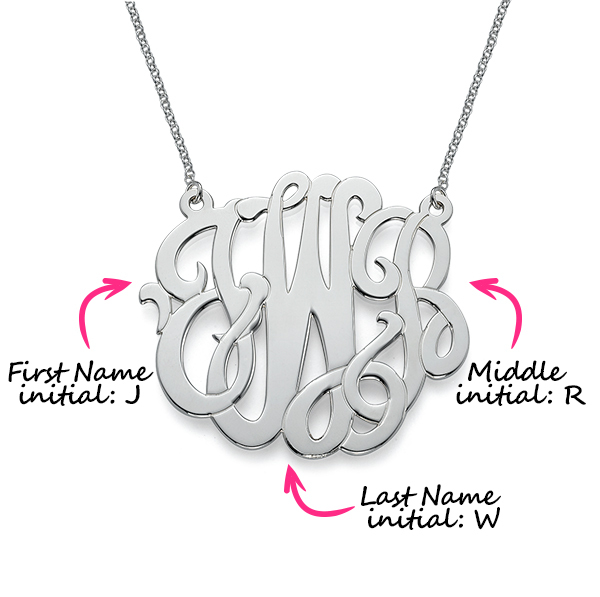 Our handy preview tool gives you a pretty good idea of how your name necklace will look after it’s produced! To preview click here. It is possible to preview 3 styles of our necklaces: Classic, Carrie and Monogram (up to 3 letters). Can I have 4 rings on the Russian Ring Necklace? Currently this item is available with two or three rings only. Each ring allows for up to 22 characters, including spaces and punctuation. You can preview our Russian Ring necklace with 2 Rings and the Russian Ring Necklace with 3 Rings for more details. Now you're ready to enjoy your new Russian Ring Necklace. At My Name Necklace, we only sell jewellery of the highest quality. All Gold and Diamond items include a 1 year warranty and all Silver, Gold Plated and Rose Gold Plated items include a 6 month warranty. Any damage that may occur during these respective periods will be covered. Please send a clear image of the damaged item to our Customer Service Team and we’ll gladly replace it. All items must be returned before new items can be reproduced. How To Determine The Right Chain Length? Long story short: The chain you select will determine where on your body your name necklace hangs, so be sure to consider the length that is right for you. Our chains run from 35 cm to 89 cm, which means your necklace can hang anywhere from high up on your collarbone to way down on your lower chest. Take a long piece of string and loop it around your neck. Close the string at the point on your chest where you want the necklace to hang. Open the string and measure it—how many inches is it? This is the length you should select for your new necklace. Please keep in mind that the chain lengths shown on our website do not include the length of the pendant. Most of our pendants run between 2-5 cm, so for example, if you order a name necklace with a 40 cm chain, the total length of the name necklace would be 42 cm - 45 cm, depending on the name and style. To measure your wrist size, you can follow either of the two simple methods in the images below. Both measurement options will provide you with an accurate measurement. 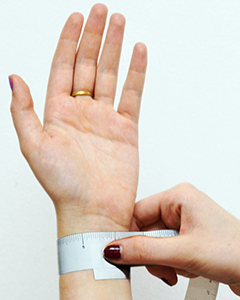 Measure your wrist size with a flexible tape measure just below the wrist bone, where you would normally wear your bracelet. Wrap a thin strip of paper around your wrist just below the wrist bone. 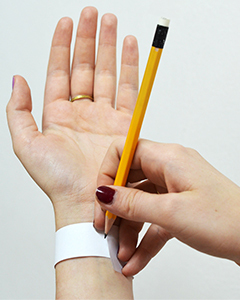 Mark where the paper overlaps on your wrist and measure the strip of paper up until the mark. What Size Is The Pendant Or Name Plate? Product information such as material type, thickness, and measurements, can be found on each individual product page under the "Information" tab. Pendant length varies according to the inscription. Average name plate size ranges from 2 cm-5 cm, or 2 cm-4 cm, for smaller name necklaces. If you can’t find the information you are looking for, please don't hesitate to contact our Customer Service Team. What Kind Of Chain Comes With My Necklace Or Bracelet? We also offer some of our items with a Colored Satin Cord. The Rollo Chain is available in Sterling Silver 0.925, 18k Yellow Gold Plated Silver, and 18k Rose Gold Plated Silver. We have a variety of items with a Colored Satin Cord, Colored Leather Cord, Leather Strap Wrap, and Colored Suede Leather Cord Wrap. You can view our Chain Collection for more information about each chain. Yes, all our precious metals are purchased from government certified vendors and are marked for authenticity. When you receive your personalised jewellery you’ll see that it has a stamp of authenticity on it. All our silver jewellery is made of 0.925 sterling silver, and all our gold jewellery is made of solid gold, with a purity level that is indicated on the item (9k, 10k, 14k or 18k). You can find all item-related information on each individual product page under the "Information" tab. All our products are 100% nickel-free, except for items made of white gold. When Should I Order Double Thickness Items? 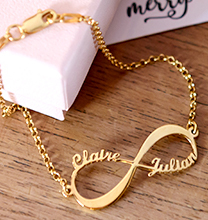 When ordering a name plate necklace, such as the Sterling Silver "Carrie" Style Name Necklace, your inscription should include no more than 10 characters, as otherwise it may weaken the pendant, causing it to bend or break. 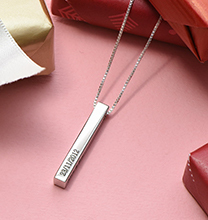 If you’d like an inscription that is longer than 10 characters or that contains special characters, we always recommend ordering a double thickness pendant, such as the Silver Name Necklace - Extra Thick with Rollo Chain. Double thickness pendants are more stable and durable and can be reliably made with up to 13 characters. You can select double thickness material for shorter names as well. 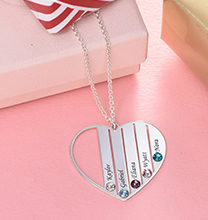 If you’d like a name necklace with double thickness but can’t find it in our catalog, please contact our Customer Service Team to see if we can accommodate your special request. Where Do You Set A Birthstone On The Name Necklace? For names that include the letter "i" we set the stone on the dot of the "i". For names that do not include the letter "i" we set the stone on the first letter of the name, unless specified otherwise. If you’d like to set the stone on a different character, please clearly indicate which letter you prefer in the comment box in your shopping cart. Once you leave a comment with a special request, we’ll make the changes if possible—there’s no need to contact us to confirm the request. If your request isn’t possible, we’ll contact you. How Can I Order Names With 2 Capitals, Or Double-Barreled Names? Double-barreled names or words usually have more than eight characters. 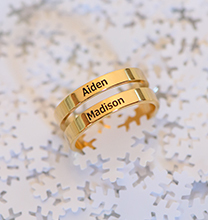 We recommend ordering double-barreled names or words in double thickness to ensure durability. Please visit our double thickness material collection here. You can view how many capital letters are possible under the "Instructions" tab on the product page. For names that include two capital letters, we again recommend ordering a double thickness necklace. If you leave a comment in your Shopping Cart requesting two capital letters with your order, our team will see it and make the item according to your request. Can I Order My Necklace In Other Languages? Check out our World Collection to see a wide variety of jewellery in additional languages other than English. How Can I Order A Necklace With Special Characters? We can add most characters to our jewellery as long as they appear on the English keyboard. All you need to do is place your order with the special character included. Regarding emojis—although we know they’re popular—unfortunately, we cannot engrave them. Do You Offer Gift Boxes And Gift Notes? Yes, you can add a gift box and a personal gift message to every order! You can add it while you're in your shopping cart or you can go directly to the product page of the gift box and add it to your cart. Your note will be printed in stylish script font, exactly as it is received, including capitalization, punctuation, numbers, spaces and spelling. Please make sure to go over the message to make sure everything is correct. As long as the order is not packed yet, we are able to make changes to the messages. We know this is a gift, so don't worry, we won't include the item prices in the packing slip. Ever wondered what your monogram would look like made into a unique piece of jewellery? We have a really cool tool that you can use to find out now! To preview your monogram click here. Can I Order a Monogram with More or Less than Three Letters? Most of our monogram jewellery can include up to three letters only. If you would like less than 3 initials, you can place your order and leave the extra initials blank. What Monograms Sizes Do You Have? We offer three different sizes of Monogram necklaces available for your preference. Small Silver Monogram Necklace offers a subtle and petite look. Our best-selling Sterling Silver Initials Necklace is medium-sized and fits everyone perfectly. To make a real statement, try our Silver Large Monogram Necklace. You can find the measurements for all our pendants under the "Information" tab on the product page. Please check out our Monogram Collection to find the right monogram necklace for you!. Can I Include Special Characters On My Monogram Necklace? Although we can include numbers and punctuation marks on monogram pendants, we recommend customizing your necklace with initials only, as the numbers and punctuations cannot be styled using our monogram font. If you still prefer including a number or punctuation mark, simply include it in the personalization details when placing your order. We’ll contact you if we can’t accommodate your request. How Do I Order A Monogram Item? For example, if your name is Nancy Grace Johnson, your monogram would be NJG. At My Name Necklace we want to give you the option to capture moments. If you previously bought a necklace, and now that your family has grown you would like to add a birthstone, it is possible! Our MY Charm Necklace Collection allows you to purchase an additional charm to add to your necklace. If you see a necklace that you like on My Name Necklace, but you need an extra birthstone in the future, you can choose a birthstone charm to add. 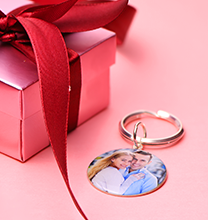 All you need to do is choose a personalised charm here and add it to your Shopping Cart. If you previously bought a necklace, and now that your family has grown you would like to add an additional charm, it is possible! If you see a necklace that you like on My Name Necklace, but you want to add another inscription/name, you can choose a personalised charm to add.